A new version of EA Studio is uploaded. 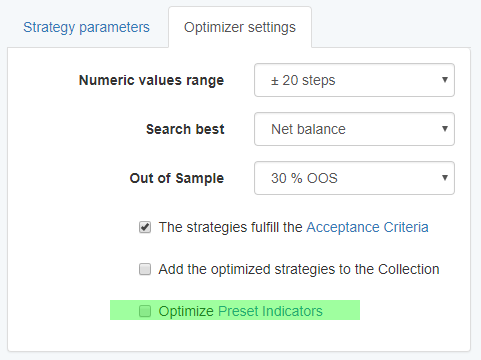 It introduces the “Optimize Preset Indicators” option in the Optimizer. 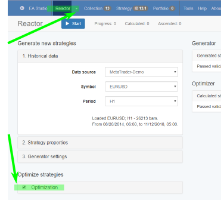 This option reflects on the Optimizer, the Reactor and the Walk Forward. When you use Preset Indicators and the option “Optimize Preset Indicators” is enabled, all numeric indicator parameters in the Optimizer are select. It makes it easier to optimize all params when run the Optimizer. The Reactor and the Walk Forward will optimize also all indicator params. When the “Optimize Preset Indicators” option is disabled, the Reactor and the Walk Forward tools will leave the Preset Indicators intact. This is very useful when we want to persist the exact preset parameters. Please refresh the EA Studio page with Ctrl + F5 in order to be sure the latest release is loaded. Can we optimize the preset indicators while generate strategies? 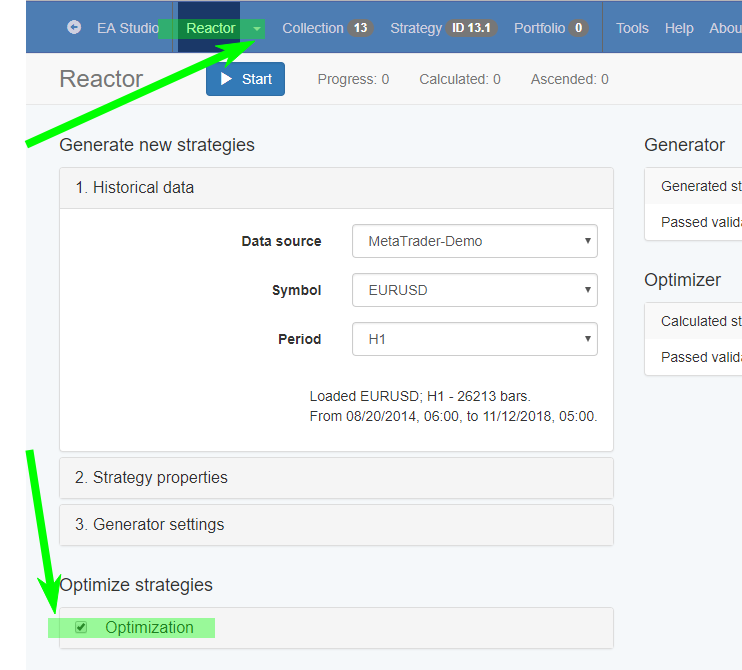 - Check on the option "Optimize Preset Indicators"
- Open the Strategy Reactor and enable "Optimization"
The Reactor will generate strategies with the Preset Indicators included and will try to find better params by optimizing all indicators.